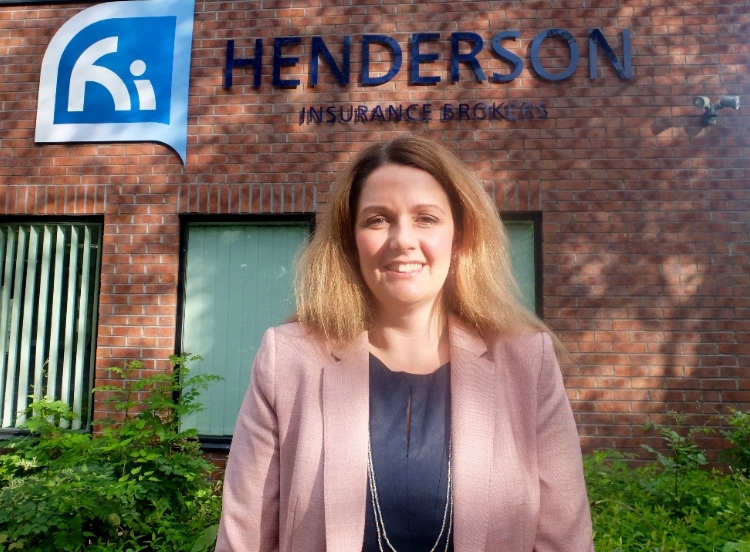 New recruit Paula Ellerington is bringing wide commercial experience to the Hessle office of Henderson Insurance Brokers Limited (HIBL). Her appointment to the account executive team comes as the branch continues to grow after passing the £10m a year milestone for premiums placed. With HIBL seeking further business in the construction sector and other commercial fields, including farming, haulage and property, her focus is on building the client base, in particular working with the region’s SMEs. Mrs Ellerington, 35, knows the Hull and East Yorkshire area well, having lived locally since gaining a degree in equine business management at Bishop Burton College 13 years ago. She first joined the claims department at NFU Mutual in York where she gained her Chartered Institute of Insurance qualifications. She has also achieved an Advanced Diploma in Insurance from with the Chartered Insurance Institute. "I was interested in how businesses work, rather than looking for a career in the equine world, and it's great to now be in a position where I can advise them on their insurance needs and gain the most appropriate cover. "Although I still ride, you'll be more likely to find me behind the steering wheel these days as I get out and about to see clients. "Hendersons is one of the country's largest independent brokers and I'm relishing this opportunity to work with them." Mrs Ellerington, who grew up in Sunderland, latterly worked for Beverley brokers Marchant McKechnie, now part of the Bluefin Group. Andrew Wakefield, branch director, said that her appointment would help the Hull office maintain its consistent rate of progress since opening in 2004. "Paula knows how to look after clients, she has expert knowledge and can contribute a lot to our growing business," he said. HIBL, which operates from 15 offices across the UK, is the only broker in the Hull and East Yorkshire region with direct access to the Lloyds of London specialist insurance market.